The holidays are here and I have a fun serving tray idea for ya'll! These are chalkboard serving trays. Do you loveeeee? 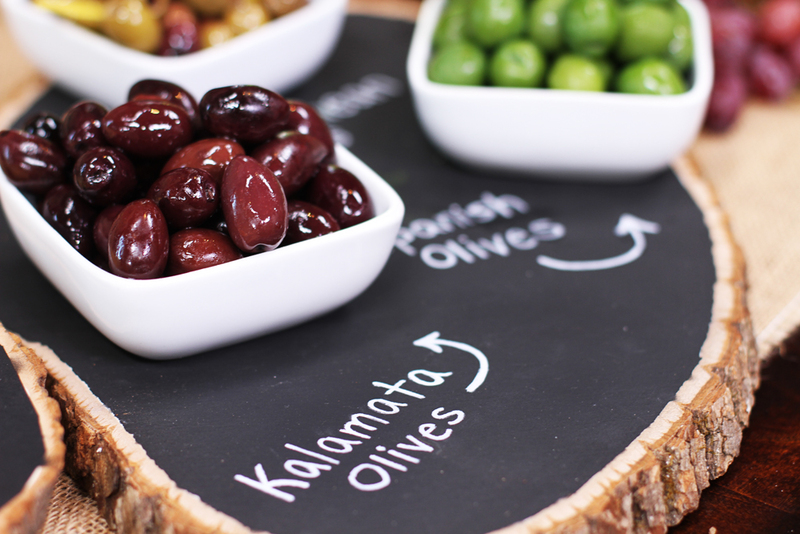 I showed how to make these today on Home and Family on the Hallmark Channel (week days 10am/9c) If you missed the show you can catch this segment here: Jessie's DIY Chalkboard Trays on Home and Family or scroll down for the instructions! Sneak peak from the show. This picture was taken by Jeremey Lee and is property of Crown Media. 1. Tape off your piece of wood on the sides so you have a nice clean edge and you don't spray chalkboard paint on the sides of your wood. 2. Paint your wood slab and let dry. 3. Once dry, peal off the painters tape and set aside. 4. If you are attaching a lazy susan you want to flip your tray over and use hot glue to attach the hardware. If you are making a really large platter I recommend using screws instead of glue. 5. Once the glue is dry you want to attach a small piece of cardboard to the lazy susan and then cover the cardboard with felt. The reason for this is so the metal hardware does not scratch your table.